The Photo Albums section of Web Content is where you can keep track and organize pictures that relate to your various ministries from membership to sports teams. 1. Click the Add Category button. This displays the Category Details page. 2. 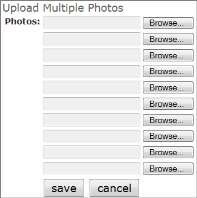 Complete fields and upload category photo, as desired. 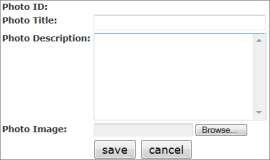 •Category ID – Arena auto assigns a category to each album. •Category Title - Enter the title for this Photo Category. •Category Description - Describe the type of photos included in this Photo Category. 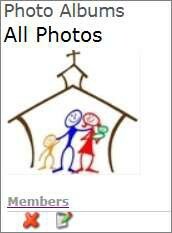 •Category Icon Image - Click the Browse button to associate an image with this Photo Category. 3. Click the Save button. Now you are ready to add photos to this category or add another category. 4. You can add a single or multiple photos. 5. Once you upload photos, you can view, edit or delete an album. 6. Click the Category link to add photos or another category. 7. 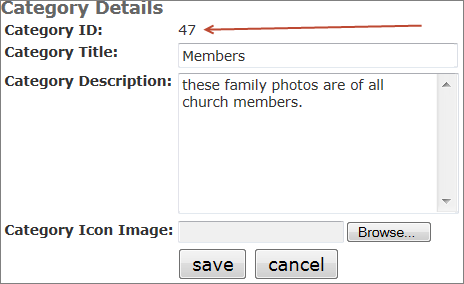 Click the Delete icon to remove this Category and any child Categories and Photos within. 8. Click the Edit icon to change the details of the Category or obtain the Category ID. 9. Click a Photo Album to display the top Photo Category, which is All Photos, any Photo Categories setup under All Photos, and any loose Photos not under a child Category.